It only started just over a year ago, but already Europe’s new network of showcase festivals has almost doubled in size. This year, as of now, five new members have joined the Innovation Network of European Showcases (INES). Another five members had already joined the network in 2018. Together with the network’s founding members, INES now connects 18 of Europe’s most dynamic live music industry events. The new members that have joined in 2019 are Mastering the Music Business (Romania), m4music (Switzerland), PIN Music Conference (North Macedonia), Sharpe Festival (Slovakia), and What’s Next in Music? (Lithuania). The first of these kicks off in March, when m4music takes place in both Zürich and Lausanne. To celebrate their induction, Portuguese band and INES#talent member :papercutz have been invited to perform at the festival. INES is a unique and dynamic platform that fosters exchange and interaction between Europe’s vital showcase festivals, which are small to medium events that combine live music performance with music business conferences. INES is co-funded by the Creative Europe program from the European Union. It includes actions to help artists and music business professionals develop their careers, cross borders for transnational growth, and embrace digitisation. With the addition of new members, Europe’s music industry can enjoy even more interconnection and cooperation. More European musicians now have the chance to perform on stage at an international showcase festival. And more professionals can build cross-border contacts to create new business opportunities outside of their home markets. Artist and INES#pro application now open! 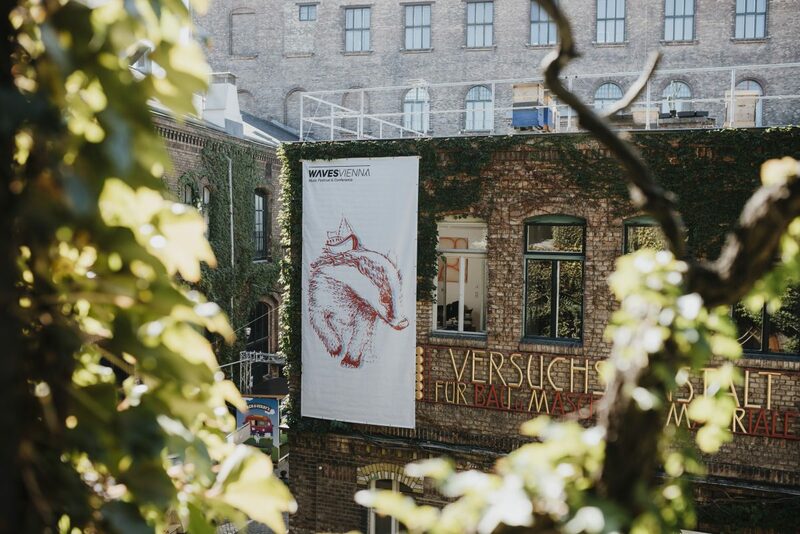 You are a European music professional and want to visit Waves Vienna 2019 to attend the music conference? Apply here to be an INES#pro delegate at Waves Vienna or any other of the eight partner festivals of the Innovation Network of European Showcase Festivals supported by the Creative Europe Programm of the European Union: ines-festivals.eu/pro/. INES#pro aims to support European music professionals to discover bands, create personal networks, be educated and craft powerful synergies by offering over 400 free accreditation passes for all INES showcase festivals and conferences around Europe . Both artist and INES#pro application are open till 31st of May 2019. Early Bird Festival Passes on sale now! As of now our Super Early Bird Festival Passes for only € 15 (limited to 111 pcs.) and our Early Bird Festival Passes for € 25 (limited to 555 pcs.) are on sale! Once they are sold, the price will rises to € 35 till May 2019. So you better be quick and get one of our Super Early Bird Tickets! At the same time Early Bird Conference Tickets for € 40,00 and Early Bird Pro Passes (Festival + Conference) for € 65,00 will be available! Hope to see you again at Waves Vienna 2019! 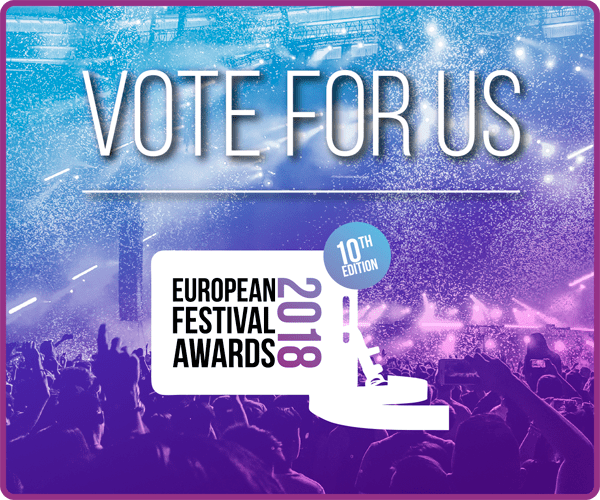 Waves Vienna is nominated for this year’s European Festival Awards in two categories: Best Small Festival and Best Indoor Festival! And you can help us win – every single one of your votes brings us closer to making this happen! Public voting is open till November 30th: Vote for Waves Vienna here! Since its inception in 2009 the European Festival Awards are celebrating accomplishements of the European music industry in 15 categories. The Awards’ 10th edition will take place on January 16 2019 at De Oosterpoort, Groningen. After four showcase festivals from Italy, Hungary, Germany and the Czech Republic joined the Innovation Network of European Showcases (INES) in June, the network is pleased to welcome another member from Great Britain! “FOCUS Wales is delighted to be taking part in INES alongside the existing fantastic Showcase Festivals. With INES we are delighted to welcome the best new European artists and music professionals to Wales. It also gives us the opportunity to present and promote the best new artists from Wales throughout the European music scene,” said FOCUS Wales co-founder and booker Andy Jones. FOCUS Wales is now the second INES member from the United Kingdom and will be located in Wrexham, North Wales for it’s 9th edition. The international multi-venue showcase will be representing more than 200 bands across 20 stages in Wrexham and will be taking place the 16th through the 18th of May in 2019. Not only will FOCUS Wales be hosting acts from all over the world, but also a plethora of up-and-coming domestic acts as well. And in addition to all of the presenting artists, an interactive conference programme will present panels and discussions with experts from the music industry! INES is a European cooperation project co-funded by Creative Europe that aims to create a unique exchange network between European showcase festivals to facilitate transnational artist discovery and career development, while promoting digitisation. and gigmit as technology partner for digital infrastructure and know-how. 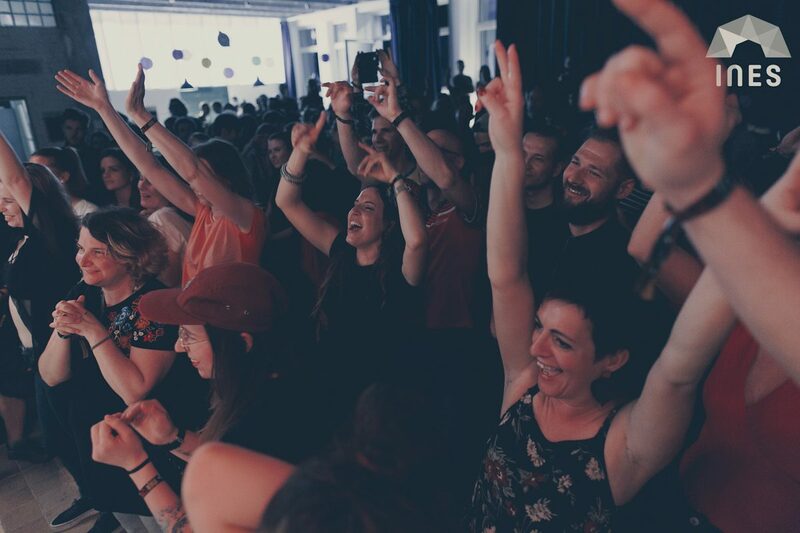 Last weekend Waves Vienna Music Festival & Conference invited music lovers to discover 100 new acts and to take part in workshops, speed listenings and lectures. 14.000 people, among them 900 representatives of the international music industry, responded the call and enjoyed the eights edition of Vienna’s Showcase Festival. Besides newcomer acts from various genres already established acts like UK indie rock band The Go! Team or Swedish artist Neneh Cherry were part of Waves’ line up. 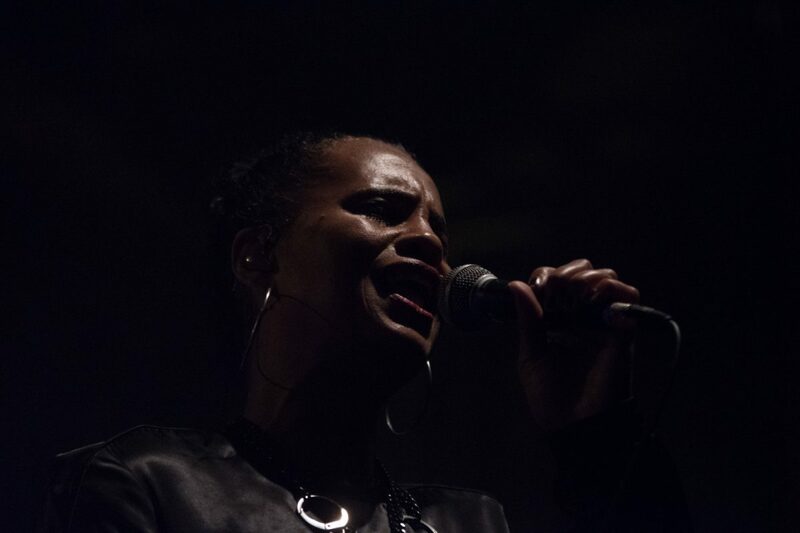 Neneh Cherry presented her new album that is going to be released in autumn and is produced by Massive Attack’s Four Tet and 3D. The Portuguese composer Rodrigo Leao impressed the audience not only with his distinguished band but also with a new stage show. WWWater from Belgium with Soulwax Drummer Steve Slingeneyer made the crowd dance in a fashion school. Fesitval director Thomas Heher: „We feel that we have a strong and significant standing in the Austrian and international festival landscape.“ Numerous festival visitors came from abroad – from this year’s focus countries Portugal and Slovakia, from the UK, from Switzerland, Ukraine or the US. The XA – Music Export Award was presented for the second time at this years Waves Vienna . The Viennese indie rock band DIVES emerged as the winner among nine nominated bands. “The moment you see them on stage it’s hard to takes your eyes off this band,” says jury member Mariusz Herma from the international music platform beehy.pe, describing his impressions. DIVES unique sound is due to the two-part singing of Tamara Leichtfried (guitar, vocals) and Viktoria Kirner (bass, vocals), paired with distinctive guitar riffs and the driving beats of Dora de Goederen on drums. The trio exudes a certain lightness in their sound, a combination of garage punk with indie pop elements and surf rock. At concerts, DIVES, who formed as a band in the course of a Girls Rock Camp in 2016, give the impression of a sworn team. Their self-confident, eponymous debut EP “Dives”, released on Siluh Records in 2017, was produced by Wolfgang Möstl (Mile Me Deaf, Melt Downer) and brought the unpretentious trio immediate success. Jury member Ákos Remetei (Sziget Festival) is convinced the track “Tomorrow” is already an “instant hit”. 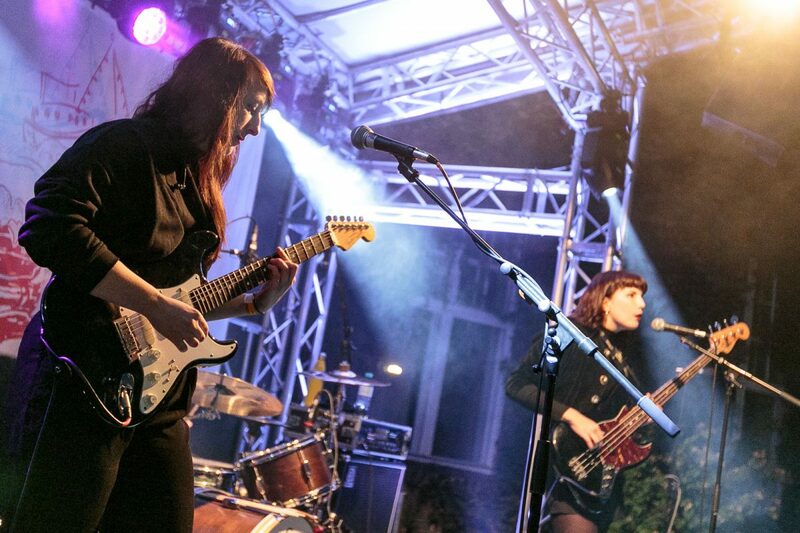 DIVES opened the Wiener Popfest in 2018 and played countless club shows and renowned festivals such as c/o Pop in Cologne, Popkultur Berlin or Reeperbahn Festival in Hamburg. “DIVES convince with their unconventional mixture of pop guitar melodies, driving beats, paired with a touch of grunge and surf,” Karla König (c/o Pop) describes the band’s sound. “Having fun on stage is really important to us“, the three musicians explain in unison. The successes of the last months have shown them that their band DIVES has potential that wants to be expanded. In any case, the release of a debut album is planned for 2019 and a tour through the Balkan countries is also on their wish list. But DIVES are also looking back nostalgically to their early days, when they just started playing, spent a lot of time in the rehearsal room, and most of their songs were written. 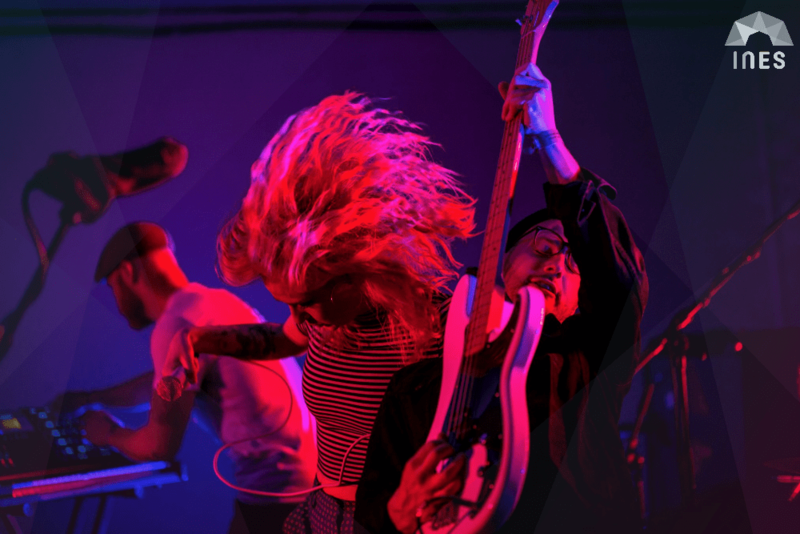 The XA – Music Export Award is not only intended to pave the way onto international festival stages for the young band, but also to give them more freedom for the creative part of their music-making. Aside from the prize money of 3.500 €, donated by the SKE Fund of AustroMechana, the XA – Music Export Award includes the assurance of Waves Vienna, Austrian Music Export and Radio FM4 to support the respective winner through expertise and international networks in the following year, for example through exchange at partner festivals. The nine jury members wish DIVES many live performances. On the other hand, they also want them „to continue on their path unswervingly, to sharpen their already good, recognizable sound further and thus continue to be successful,” says Amira Ben Saoud (The Gap). 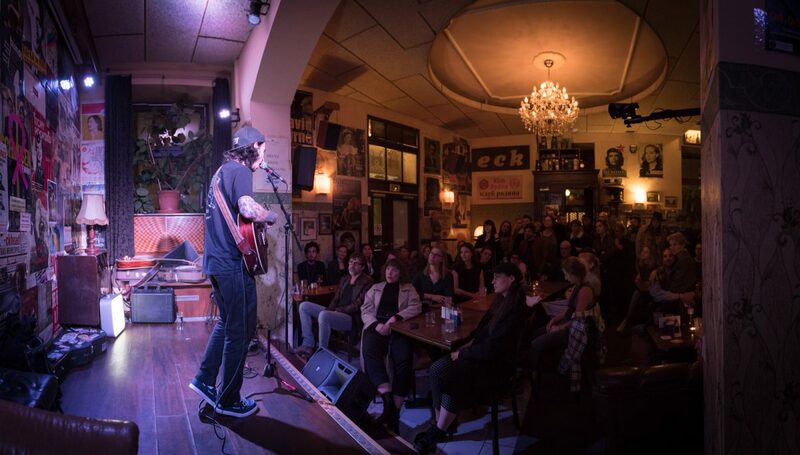 International experts evaluated the live performances of the nine nominated bands Dives, Pressyes, Kids N Cats, Mickey, Like Elephants, Viech, Please Madame, Dramas and Thirsty Eyes during the three festival days of Waves Vienna 2018. The jury consisted of Amira Ben Saoud (The Gap, AT), Jan Clausen (Factory 92, DE), Andrina Dolinsek (Acoustic Lakeside, AT), Mariusz Herma (beehype, PL), Karla König (c/o pop, DE), Dan Koplowitz (Friendly Fire Licensing, USA), Susi Ondrusova (FM4, AT), Ákos Remetei (Sziget Festival, HU) and Luis Soares (Rock in Rio, PT). The XA – Music Export Award is an initiative of Waves Vienna, Austrian Music Export, SKE Fonds and Radio FM4. The first XA – Music Export Award in 2017 went to the duo CARI CARI. “For us the award has come at exactly the right time and is a giant step in our so far very successful internationalisation”, report last year’s winners Stephanie Widmer and Alexander Köck. Together they form the band CARI CARI , which captivated music fans last year with their unusual combination of digeridoo, jew’s harp and their unique sound. “The XA is particularly distinguished by the fact that it starts exactly where musicians need it.” Not only their appearances at important showcase festivals like Eurosonic Noorderslag, The Great Escape or Primavera Sound in Barcelona testify to the lasting effect of the award. “Also in Austria the interest by fans, critics and the media has improved a lot”, the two musicians explain. Applications were being accepted until July 31, 2018 which were available to all bands and musicians from the participating countries. From all applications received, the festival partners have now nominated the best young musicians from their respective countries for INES#talent 2019. And now that three new members have been added into the network since this past June, INES#talents from Hungary, the Czech Republic and Italy will officially be there for the first time! 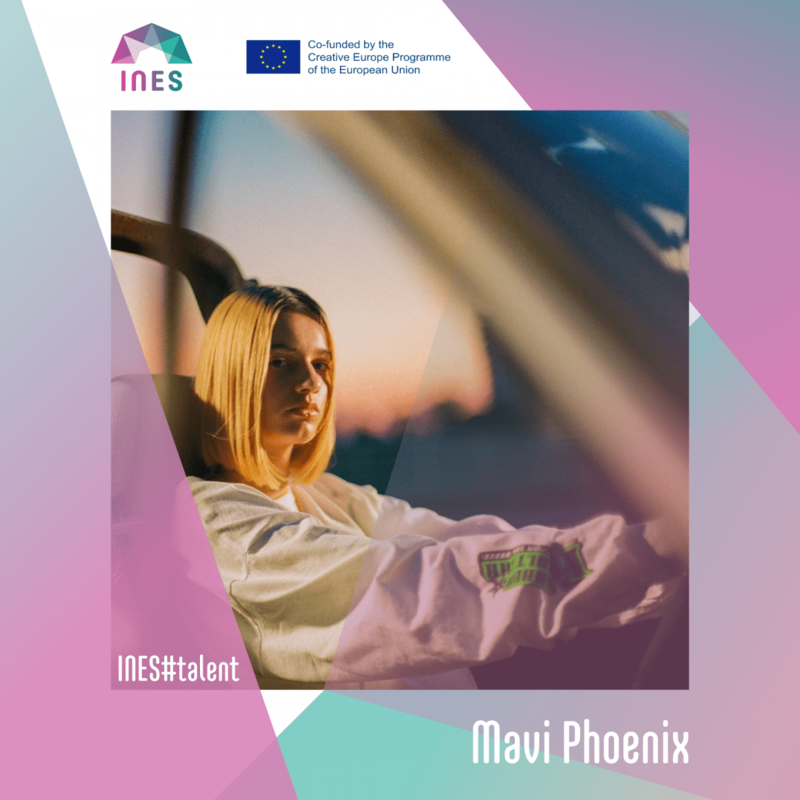 With INES#talent in 2019, the most promising young artists in Europe will have the chance to perform at up to 12 showcase festivals and thus present themselves to an international audience, but above all to the international music industry. Drahthaus, Dramas, Kids N Cats, Like Elephants, Little Element, Lulu Schmidt, Mavi Phoenix, Mickey, Mynth, Naked Cameo, Paenda, Please Madame, Pressyes, Sketches on Duality are the Austrian INES#talents for 2019! INES is the European Showcase Festival Network that promotes the careers of artists and music professionals in the European markets. INES is co-funded by the Creative Europe Programme of the EU. With your Waves Vienna Festival wristband you get lots of specials and discounts at shops and restaurants around the Festival Centre WUK. Plese note, that these special offers are only available from 27.-29.SEP.2018 and are not valid for Day Passes. 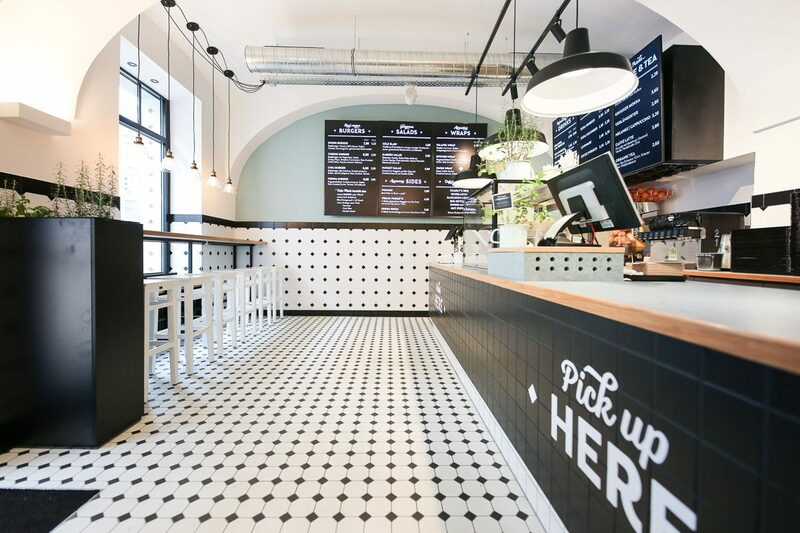 In an unprecedented pioneering achievement, the Schillingers gradually replace the traditionally meat-loving viennese cuisine with their vegan versions. Burger, sweet potato fries with a basil-lemon dip – and 10% off with your Waves bracelet. Anyone who partied with us 2016 will probably have a déjà-vu feeling: Kafa has just moved into the then-Waves warm-up lounge and provides us with delicious coffee for tired dance feet. 10% off everything with your Waves wristband. 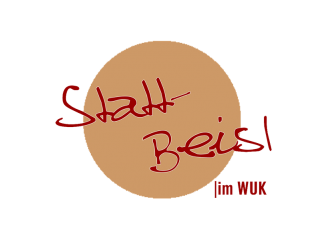 Legendary Statt-Beisl at WUK will supply us with his delicous sandwiches (pulled brisket & mozarella), Viennese Craft Beer Domrep Pils and most important: a cake and coffee deal for € 3,80! Show your wristband to get special discounts! Apart from the quality of the ingredients fresh preparation and exclusive service, the variety of the dishes is another great reason to enjoy Italian cuisine at Restaurante Francesco. Exclusively for you, the chef himself created a veggie “Waves pasta” and you can get the Pizza Francesco for € 9,50 instead of € 12,50. Coffee, pastries, after-parties: for over a century Café Weimar has been very popular in Vienna. A historic authentic viennese café with lots of character, and the legendary nightclub Palme in the basement. With each piece of cake you get a free coffee! The family-run business has been feeding us with high quality sweets from around the world for more than 100 years. With your festival wristband you get 10% discount on 110 varieties of liquorice.